Be part of our wonderful team at Boclair. We have fantastic opportunities within our stunning hotel in all aspects of the hotel and leisure industry. We are an award winning Hotel & Leisure Group and offer the best in Training, Personal Development and more importantly – make everyone matter. Our stunning hotel is a wonderful venue to progress your career in so many ways. 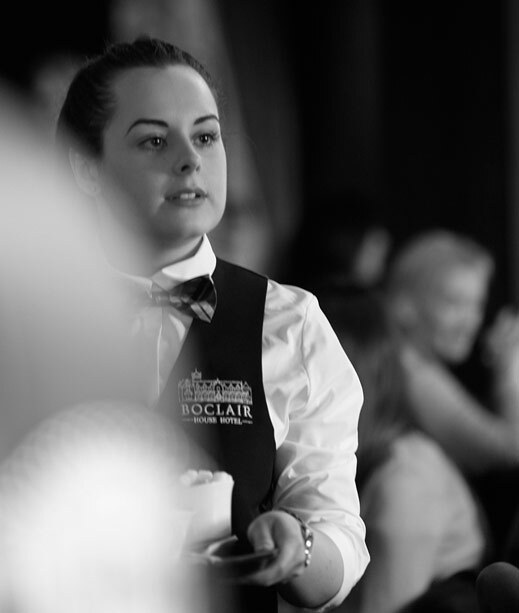 We are always looking for the best-talented people around to be part of our already fantastic team and there’s so much excitement around our venue making it the perfect time to join. We are part of an award-winning hotel and leisure group and offer the best in Training and Personal Development and more importantly – make everyone matter.